As February slowly gives way to March, the cold temperatures of winter will start to rise. Right now, you’re probably still using your heating system on a regular basis, but sooner or later, you’ll turn it off in favor of your air conditioner. 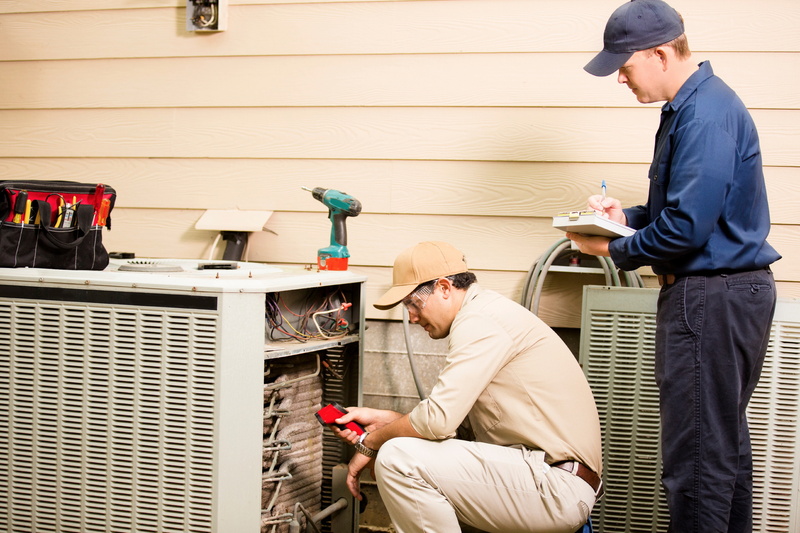 Before your AC sees daily use, it pays to schedule a good maintenance session from a qualified professional. It can make a huge difference when it comes time to put the AC to a real test. What is a Maintenance Session? A maintenance session differs significantly from a repair session in that it is both simpler and more extensive. Repair sessions are called to handle one specific issue, while maintenance sessions handle all of those little things that don’t merit a repair call on their own. Things like loose bolts and screws, dirty filters, moving parts in need of lubrication and the like, all can be handled by a maintenance session. That helps your air conditioner function more effectively: lowering your monthly costs and helping to extend the life of the unit overall. But it can do more than that. When going over the system, the technician will also look for signs of any big problems that haven’t manifested yet. Most breakdowns can be spotted in advance if you know what to check for, giving you a big leg up on repairs. That way, you can schedule the needed session at leisure instead of rushing around after a suddenly breakdown. The damage is usually much less extensive too, meaning that the repair bill is apt to be quite a bit cheaper. Ideally, a maintenance session should be made at least once a year and maybe twice. 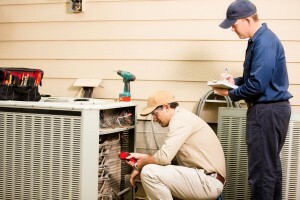 In addition, you should schedule regular maintenance sessions for air conditioners whose warranty has expired. When applied regularly, maintenance sessions will reduce wear and tear considerably, and while exact results will vary, they can help extend the overall life of the air conditioner by months or even years. That will allow you to get the most out of your system. We always recommend maintenance sessions for air conditioners every spring, after the snows have melted but before the weather is warm enough to merit regular use. That gives you the time to set up the session on your schedule, instead of having to move other parts of your busy life around to make room for something sudden. It also allows you to take full advantage of the benefits immediately, ensuring that your AC is ready to go on the first day you need it. Finally, if further repair are needed, you have the time to take care of it before you have need of the system, preventing further damage and giving you an extra layer of insurance for when temperatures really start to soar. If you haven’t had your air conditioner serviced in a while, or you think there may be a problem worth checking out, never fear. Call Quality Air Heating and Air Conditioning today for air conditioning services throughout Columbus, OH!